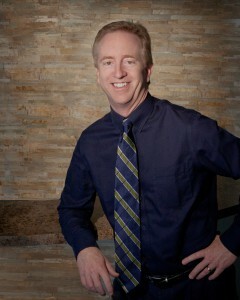 Dr. Ritchie Stevens began his professional career in Las Vegas in 1990. A graduate of the University of Colorado School of Medicine, he completed his residency training in southern California at UC Irvine with a focus in brachytherapy. This served him well as his practice soon built the largest prostate implant program in Nevada- utilizing both permanently placed seeds as well as temporary implant techniques. In another first, Dr Stevens brought High Dose Rate brachytherapy procedures to the state for the treatment of advanced gynecologic malignancies. Nationally recognized for his technical skill, Dr. Stevens has also worked as a consultant and brachytherapy instructor to multiple physicians locally and across the country. Dr. Stevens is excited to be joining the physicians at the Radiation Oncology Centers of Nevada and looks forward to continuing to serve the needs of patients in Southern Nevada. Beau James W. Toy, M.D.